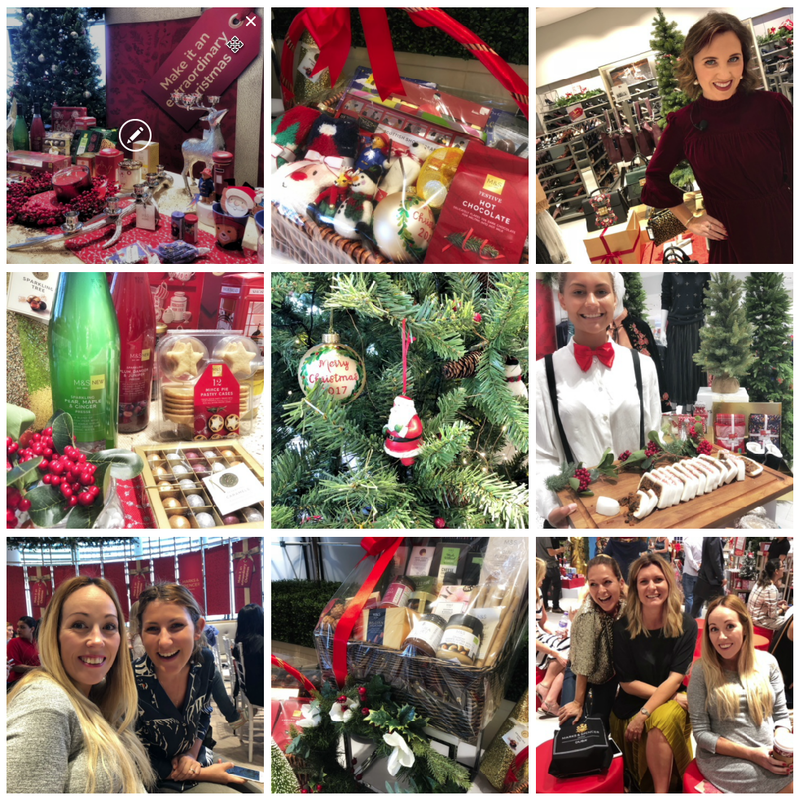 The festive season opened up officially last week with Marks & Spencer's Christmas event. A lovely morning with a festive and cheerful atmosphere - good company and delicious food! We got to check out (and taste) the selections of holidays treats from amazing mined pies, cheese, crackers, to biscuits and cakes. 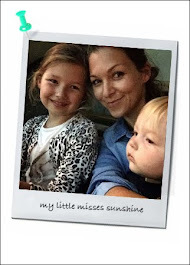 Helen from The Mothership Dubai shared her top picks for a cosy family Christmas eve. Carly from Lean Living Girl blog shared her selection for an healthy holidays season. Irene from Gingham and Sparkles blog showcased some stylish and fun looks for this festive time of the year from the latest Marks & Spencer’s occasion wear. Also loved all the cute family sleepwear and gifting ideas for him, her and children. Marks & Spencer is a great go to shop to treat yourself or someone special this festive season. They have so many lovely things, well sourced for quality products and stylishly packaged creating truly special gifts. You must check the selection of gift hampers! A delicious selection of the flavours, including indulgent tea time biscuit selection, all butter shortbread biscuits and fruity preserve, all packed into a small wicker basket. 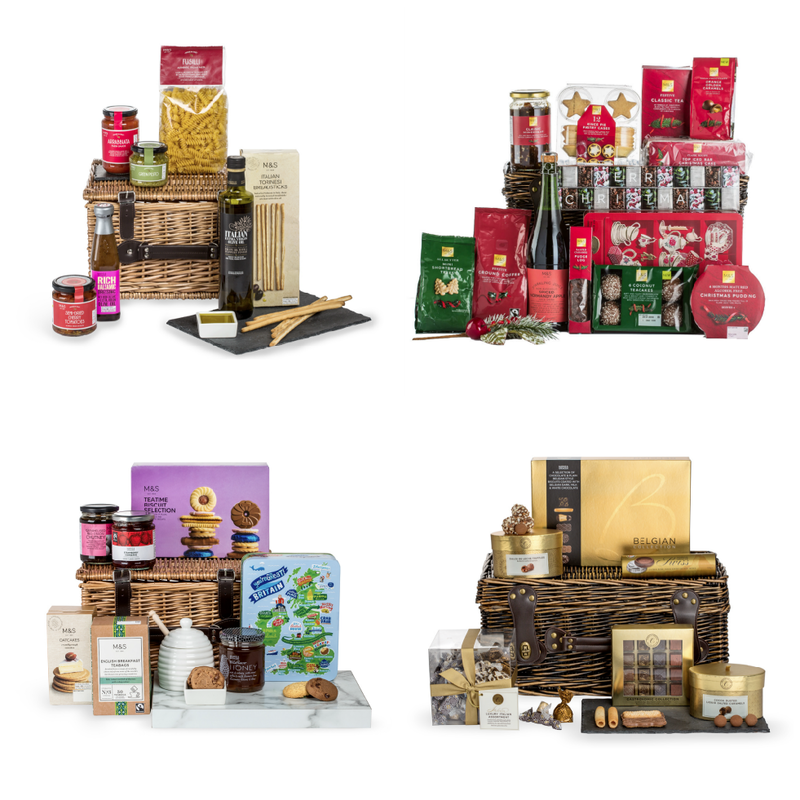 A lovely wicker hamper with faux leather straps comes filled with an array of Classic Festive favourites, including a bottle of non-alcoholic mulled punch, 6 month matured alcohol free Christmas pudding and an iced bar Christmas cake, ideal for the family to share. A lovely wicker basket is packed with a selection of indulgent teatime treats, Belgian curls and chocolates. Includes lovely a bottle of sparking rose grape juice. Treat someone to a taste of Italy with this special selection of our authentic flavours, including balsamic vinegar and extra virgin olive oil and more, presented in a small wicker basket. Have a look online to the full selection and get your festive gift shopping started. Happy holidays!